Congress has finally decided on a slogan for the upcoming Lok Sabha Elections 2019. Their slogan for the polls is ‘Ab Hoga NYAY’. According to reports, Congress had spent a while on their campaign slogan before finalising on ‘Ab Hoga NYAY’. This indicates that the Congress’ campaign is heavily banking on the minimum income scheme. As mentioned in a report in Indian Express, internal surveys carried out by Congress shows that the NYAY scheme has gained traction in several states. 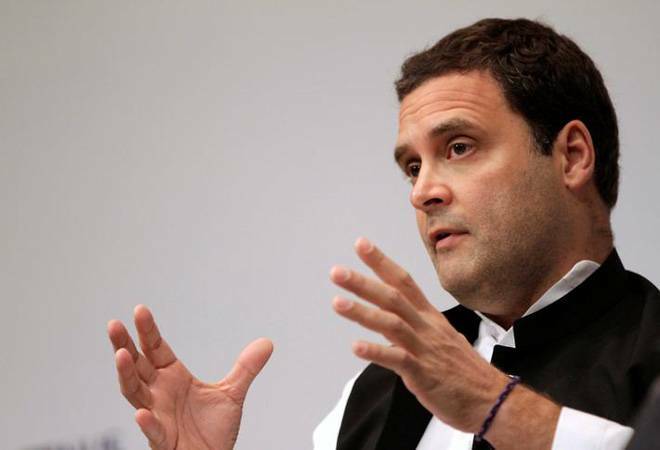 A senior Congress leader told the daily that they will keep talking, simplifying and communicating about it as much as they can. The party had finalised the agencies to execute the campaign a fortnight ago. The creative media work will be executed by a Bengaluru agency. Percept and Golden Rabbit will be executing the electronic media advertisements at the national and regional levels. Active Media and Golden Rabbit will execute the print advertisements. Active Media will be responsible for the radio advertisements, the daily mentioned.